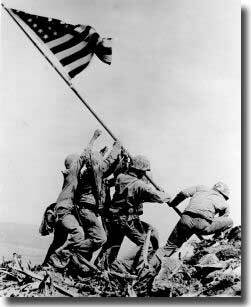 US Marines raise Old Glory on Iwo Jima. Words of the Navy Hymn. O Trinty of love and power!